Finally, a low cost, high quality, TMA that outperforms anything on the market today! Precision engineered using the latest advances in 3D printing. All at a fraction of the cost of competing instruments. 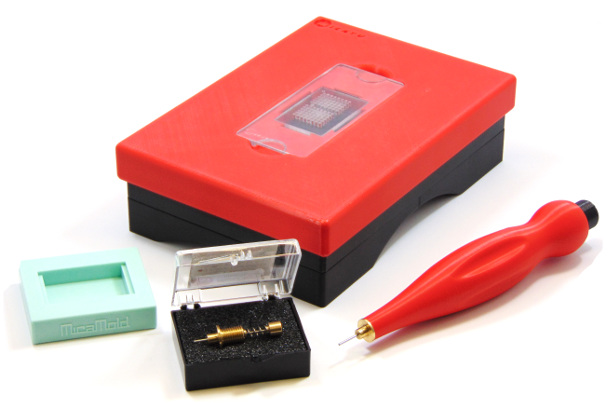 This is a completely modular system that allows users to switch template guides from 0.6mm to 3.0mm core sizes. 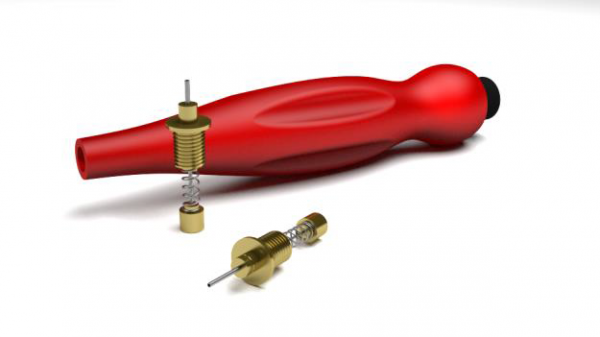 Frustrated by poorly designed coring needles? Micatu designed its TMA coring needle system using an ergonomically developed “low stress” handle and advanced engineering methods for replaceable needles. 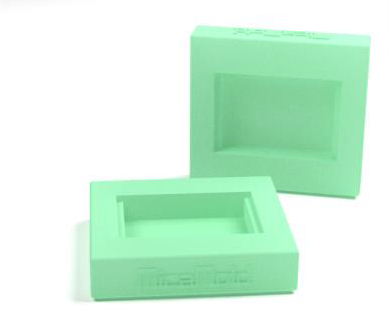 Micatu listened carefully to countless histologists and came up with a very durable and practical TMA mold for casting paraffin blocks. Simply pour, place cassette in mold and let cool. The simplicity and accuracy of the MicaArray instrument lies in the engineering behind the coring needle template. 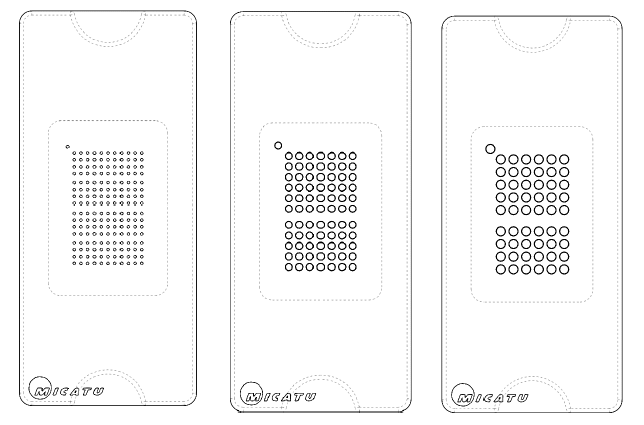 Rigorously tested and validated by several histology labs, the MicaArray modular template ensures accuracy of each core to +|- .005”. This results in a higher quality TMA at a rate rivaling or faster than automated machines. Pictured above is the .6mm, 1.5mm and 2.0mm template system. 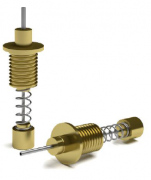 Leveraging the latest advances in precision engineering, the Micatu modular needle system is a cost effective, highly precise improvement over bulk process coring needles. Easily changeable, highly accurate and interchangeable with any Micatu ergonomic “low stress” handle assembly.